Whether by schedule, job step or event task, NetVisn Distribution Management keeps you informed every step of the way by detailing who is receiving content, what content they receive, and which mechanism was used to distribute it. 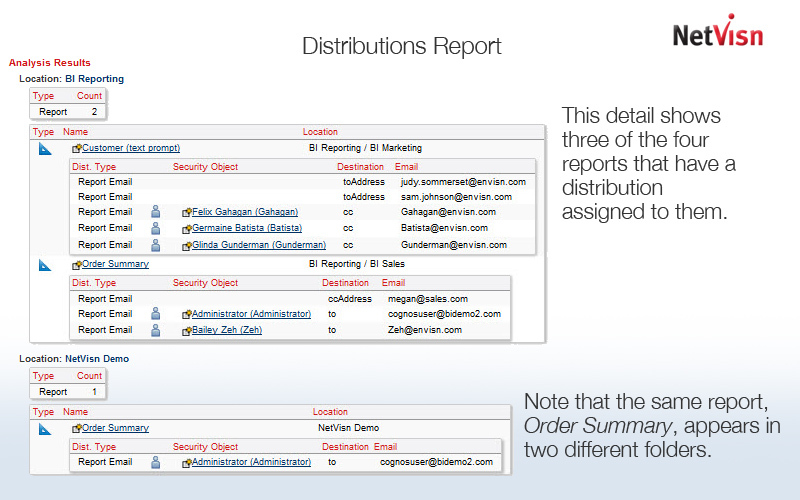 Distribution Management deciphers security groups and distribution lists to their implicit and explicit members in either the base view (Cognos settings) or through an account (user) view. 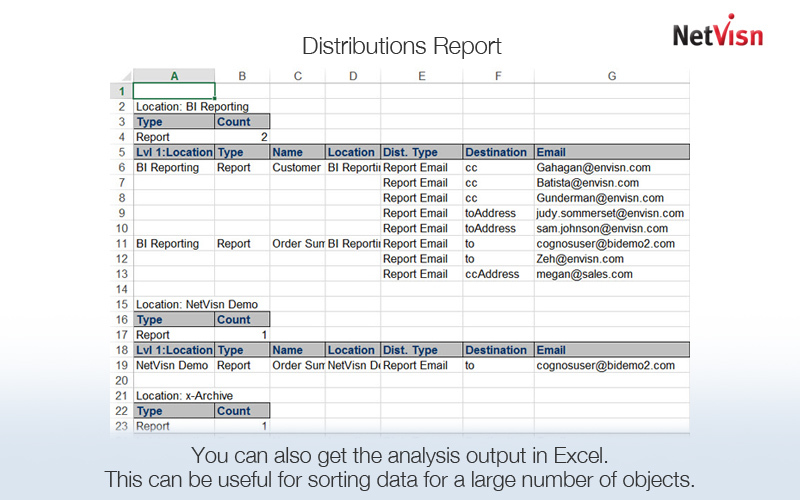 Shows all report content distributions for any security object. 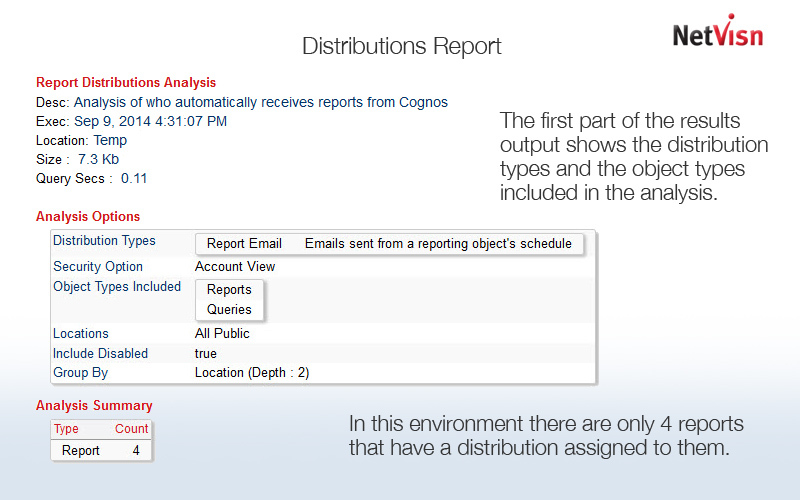 Provides full documentation of all Cognos distribution lists. And flexible output ensures that you get it the way you need it.